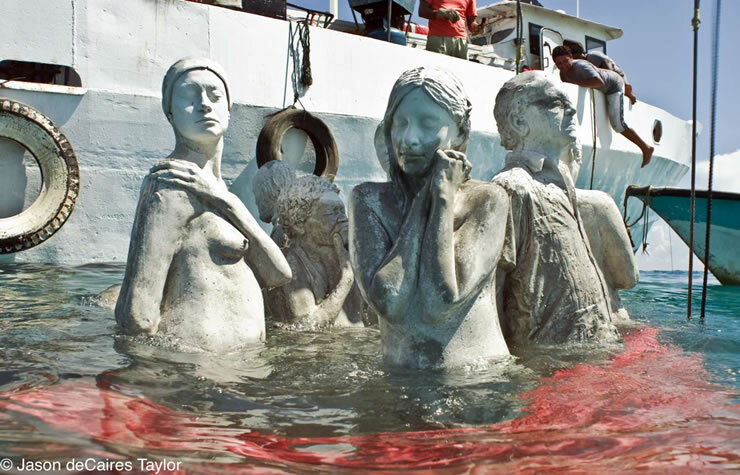 Art is not something a yacht brokerage, such as ourselves, can claim expertise. 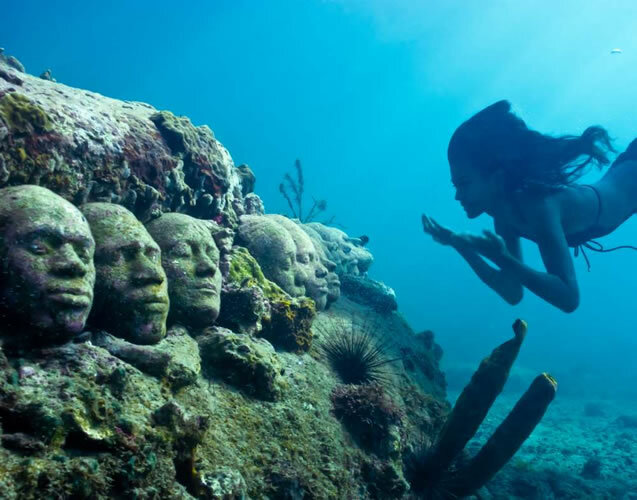 However for the first time, the worlds of art and our beloved ocean have collided in the most awe-inspiring way, all in the name of beauty and conservation. Because we have a deep appreciation and respect for anyone taking steps to preserve the natural balance of our oceans and foster the growth of its aquatic ecosystems, I feel I must share this with you. 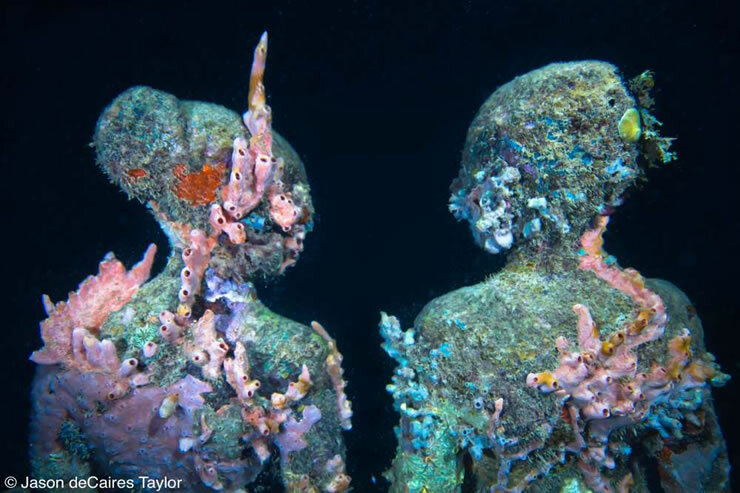 Jason deCaires Taylor- Ever heard of him? Chances are you will one day as his name has been showing up in 1000s of publications around the world. 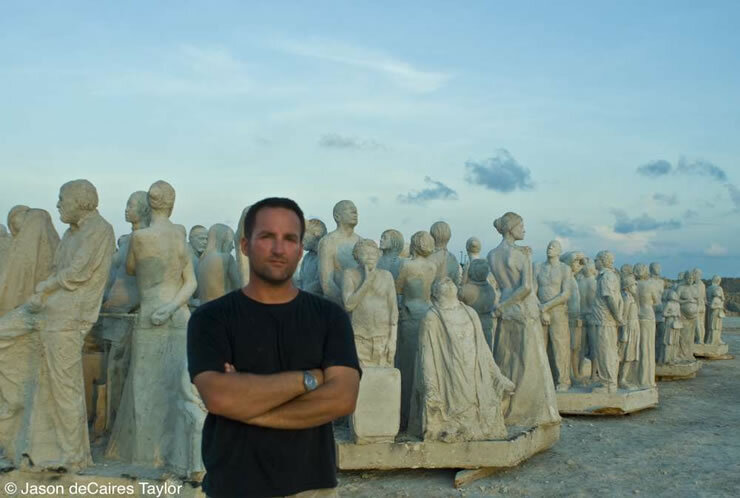 He is also featured in documentaries and television specials on CNN, Discovery Channel, BBC and National Geographic for his artistic abilities. 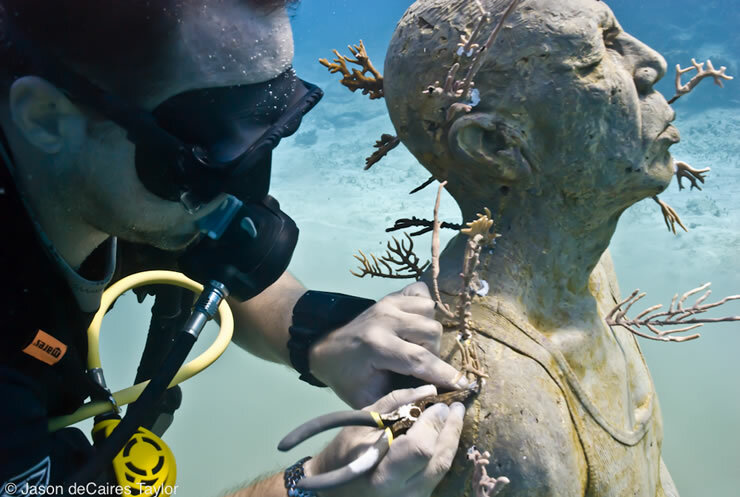 His work: underwater sculpture gallerias. 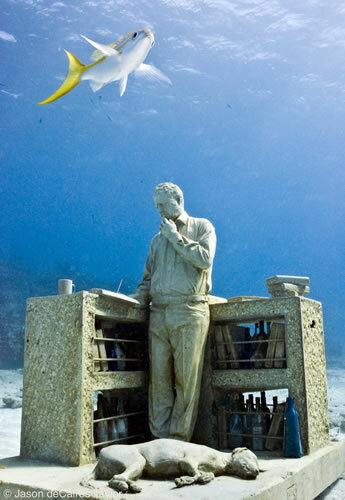 In 2006 he made headlines with his very first, and the world’s first, underwater gallery in Granada, West Indies. Some find his work strange…We find it beautiful, innovative and inspiring. Much of Jason’s childhood was spent on the coral reefs of Malaysia where he developed a profound love of the sea and a fascination with the natural world. He then worked as a scuba diving instructor in various parts of the globe, developing a strong interest in conservation, underwater naturalism and photography. Because of him, there are vast expanses of flourishing coral and marine life where there used to be nothing but sand and sea. 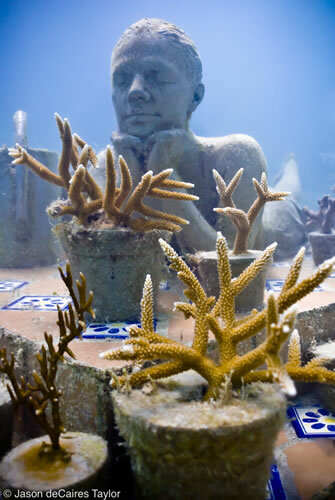 Jason continues his work in Cancun, Mexico where you can dive his creations. 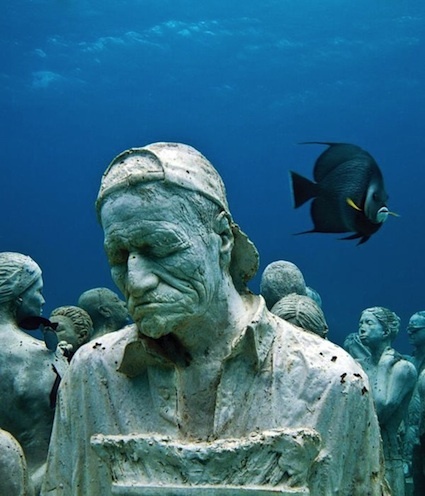 This is definetly one to add to your scuba diving bucket list. 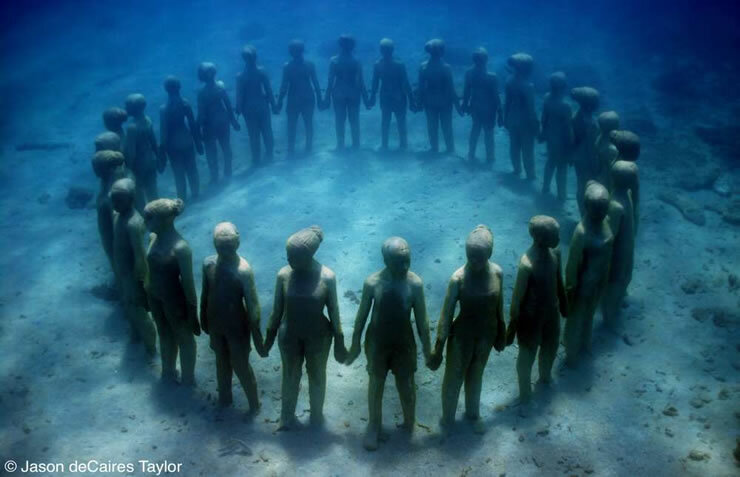 You can learn more about Jason’s work on his website underwatersculpture.com or check his fan page out on Facebook. What do you think of his work? Strange or Beautiful? We want to hear from you!